Just sold this beautiful home in the Four Seasons 55+ Community. Large Lot which includes Aluma Wood Patio Cover, Oversized Stamped Patio, Retaining Wall with Upgrades Carriage Lighting, Landscaped with numerous plants and trees, Sprinklers, and a fantastic Rock Waterfall. Inside has a Gourmet Kitchen with Granite, Stainless Walk-In Pantry, and Island. Inside Laundry Room and includes Washer and Dryer, Built in Cabinetry in Great Room, Hall, and inside the Den. Plantation Shutters throughout, Huge Master Suite plus oversized walk-in Closet with Organizers. 3 Bedrooms, 2 Bathrooms, Attached Garage with overhead shelving. HOA amenities include 3 Club Houses, Ball Room, Amphatheatree, Putting Green, 3 huge Pools (1 inside), Tennis Courts, Walking Trails, Movie Theater, Craft Room, Game Room, Billiards, Library, 3 Exercise areas with Aerobic and Weight Training Classes. Near 3 huge golf courses in the city, 45 minutes to Palm Springs or Mountains, lots of shopping and restaurants nearby. This community has everything you need to retire and enjoy life. You will love this area in the Inland Empire as it is such a great place to retire. SoCal has wonderful weather year-round. which is great for golfing, bird watching, sports, and so close to the Beaches, Mountains and the Desert areas. 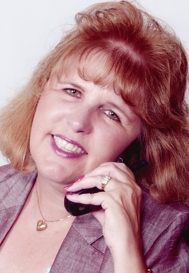 I have many years here in Riverside/San Bernardino County working as a REALTOR® . If you need real estate information to Sell or Buy in the Inland Empire...please give me a call. 909-557-6966. Congratulations on selling this beautiful home in the Four Seasons 55+ Community! Kudos to you!! My sellers waited for the right offer and then we closed 10 days later. Thanks for stopping by. Congratulations, Kristin, on the sale... and here's wishing you more such closings in the months to come. Endre Barath, Jr. yes the homes in Four Seasons are well built and very popular. Nina Hollander - Thanks for stopping by and wishing me more closings.